Holiday Craft Off Week 2: Tasty Treats! We LOVE the holiday season at Craft Quickies… and we LOVE to drool over holiday food. We’re also all about sharing our love of other blogs. There are so many fabulous ideas from amazing people out there, and we wanted a fun way to show off some of what YOU have been up to… with some wonderful prizes, of course. 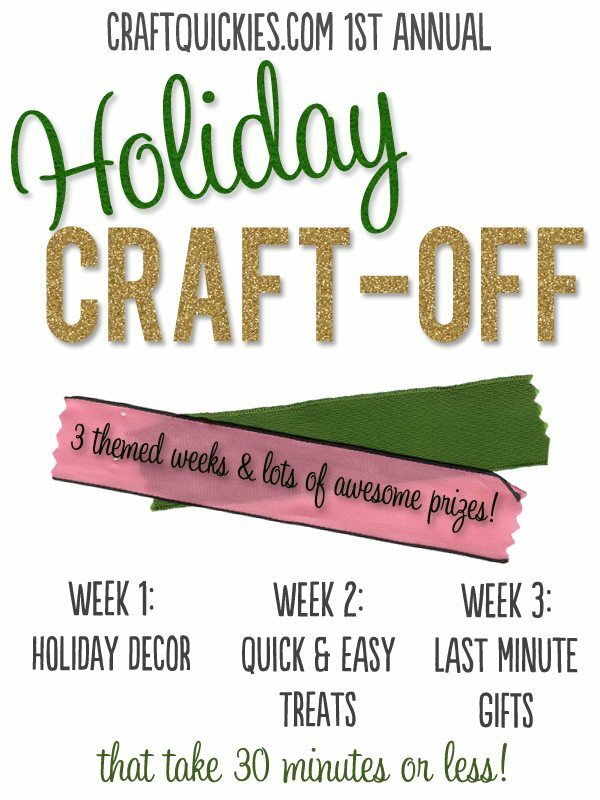 This week is the second week of our First Annual Holiday Craft-Off! 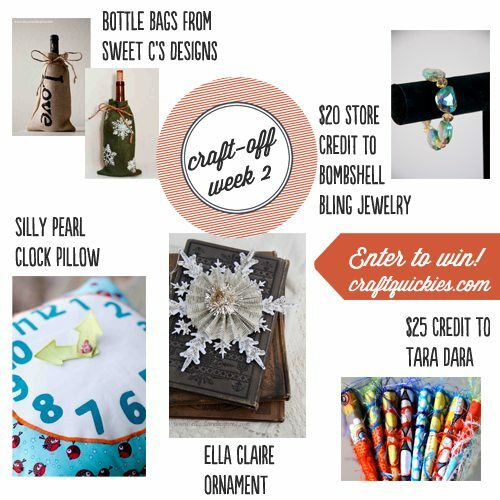 All week long we welcome you to come and link up any tasty treats you’ve made for a chance to win a prize pack full of wonderful prizes made by talented women! and a lovely Clock Pillow from Silly Pearl (great for teaching time to little ones!). Food that can be made in 30 minutes or less (minus baking time) will be given preference, but it is not mandatory. This week’s theme is Tasty Treats. Your link must fit this theme or will be deleted. ANY winter holiday theme welcome. Next week we will be opening a call for easy gift ideas, with all new prizes.. so get your projects ready!